Did you know YouTube gobbles up almost half of all Internet traffic alongside Netflix? Over a billion hours of content is watched on YouTube daily, with close to two billion users visiting the site every month and rising. Now, we don’t need to tell you that’s a lot of people who could potentially see your product or service. Like any online channel, YouTube’s reach may be particularly beneficial if you’ve developed a presence that aligns with your overall marketing objectives. But how do you set up your own channel? And how do you create a channel specifically tailored for your business? As it so happens, it’s actually easier than you might think – here’s eight simple steps to get you started. Because Google owns YouTube, the first thing you’ll need to do is create a Google account. To do this, simply click Sign In at the top right-hand corner on the Google home page and then select Create account. If you already have a Google account but would like to create another to be used solely for your YouTube channel or other business purposes, select Use another account and then Create account. From there, you’ll be asked to fill in your personal details and agree to the terms and conditions. 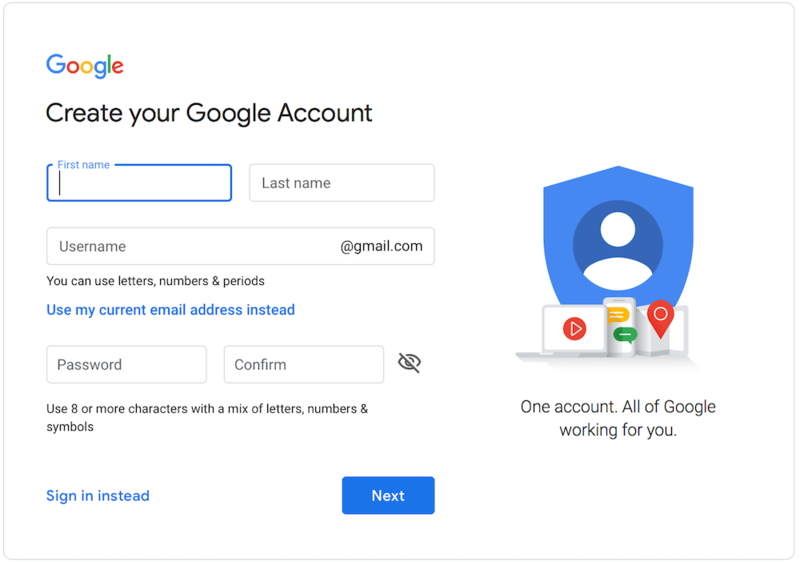 Once you’re done, hit Next, and your Google account will be activated. While still logged in to your Google account, click the Google apps logo (the nine-tile square) at the top right-hand corner of the page and select YouTube. Once there, you may have to refresh the page a couple of times for your account icon to appear. When it does, select My channel and then Use a business or other name. This is what will distinguish your channel as business-related as opposed to a personal account. Type in what you would like to call your business channel and then press Create. Your YouTube channel is now published. It’s important for any channel to appear alive, personalised, and unique in style and character, and this is especially true for a business channel and its branding. Here you can bring your channel to life by adding art, imagery, information, links, and, of course, videos. To begin, select Customize Channel. The first thing you’ll probably want to do is edit your channel icon. Click on the pen-shaped marker on the avatar and select Edit. This is generally where your logo goes, but whatever image you choose to upload it’s recommended that the file is 800 x 800 pixels in dimension. Across the top of your channel you’ll also have an option to add a banner. The recommended dimension size is 2560 x 1440 pixels with a maximum file size of 4MB. To do this, select Add channel art and upload an image that best represents your business and brand. It could be your logo with an artistic variation, imagery relevant to your field of work, a quote, or even just a bold colourful background. The idea is just not to leave this space empty, as it would be a missed opportunity to entice viewers and reinforce your branding. Keep your artwork simple, strong, and preferably something that you have created or at least have obtained the rights to use. Once you’ve added your icon and banner, your channel should be starting to look a little more personalised. Now it’s time to add a company bio, contact details, and links that will direct subscribers and general audiences to your website and social media pages. Navigate to the About page and click on the + Channel description bar. In the text box, write a few short, clear, and interesting paragraphs summarising what your business is about and explaining what your channel is for. This is one of the first things visitors to your channel will read when they want to learn more about what your business does, so remember to keep things positive, informative, and not too wordy. Try to be as strong and concise as you can, and don’t forget your call to action. Hit Done when you want to save. Of course, you want people to reach out to you for business-related enquiries, so hit the + Email button and insert the email address you want them to contact you through (you can use your newly created Gmail address here), and while it’s not required, it’s worthwhile adding your country from the drop-down Location menu so subscribers and potential customers know where you’re based. In preparation for the regular channel visitors you’re aiming to attract, capitalise on any traffic by adding links directing them to your external website and socials. Click the + Links bar and add in your sites and their corresponding URLS, which will appear as clickable links just under your channel banner. Last but definitely not least (in fact, it’s arguably the most important element), it’s time to upload videos. 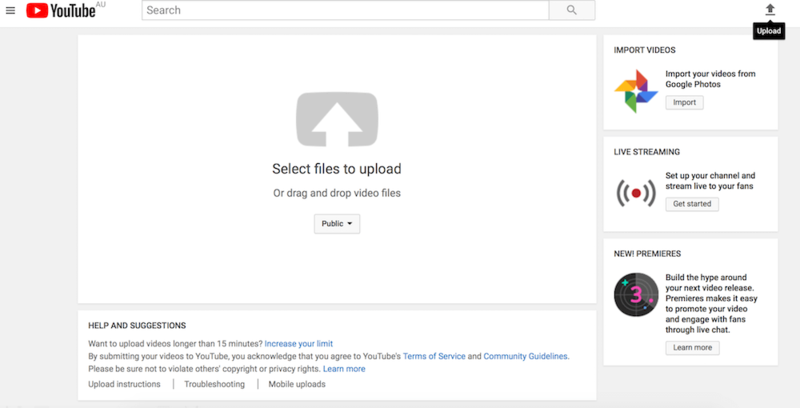 Look for the Upload button, select the video file you want to share, choose the privacy setting, and fill out the information on the following page. 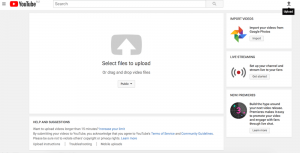 For more detailed instructions on how to do this, see our step-by-step instructions on How To Upload Videos to YouTube. Make sure to give your video a clear title, write a brief description on what it’s about it, select a thumbnail, and add a few relevant tags so your video can be seen alongside others like it. Once you’re done, click Publish and your video will be processed and generally go live online within minutes. After you’ve added some videos, the next step is to enable customisation so that you can add a welcome video and start arranging your channel to create more positive first impressions. To do this, sign in to YouTube, select your account icon, click My Channel and then select Customize channel. 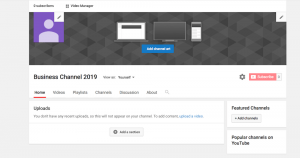 You’ll now be able to add a featured video, also called a channel trailer, to greet any new visitors. You can use an existing video or create a new video for this purpose, but the most effective channel trailers give viewers a preview of your channel’s offerings so that they will be more likely to want to subscribe. To add a channel trailer, first select or upload the video you want to use, then go to your channel’s Home tab and click For new visitors and select Change trailer. 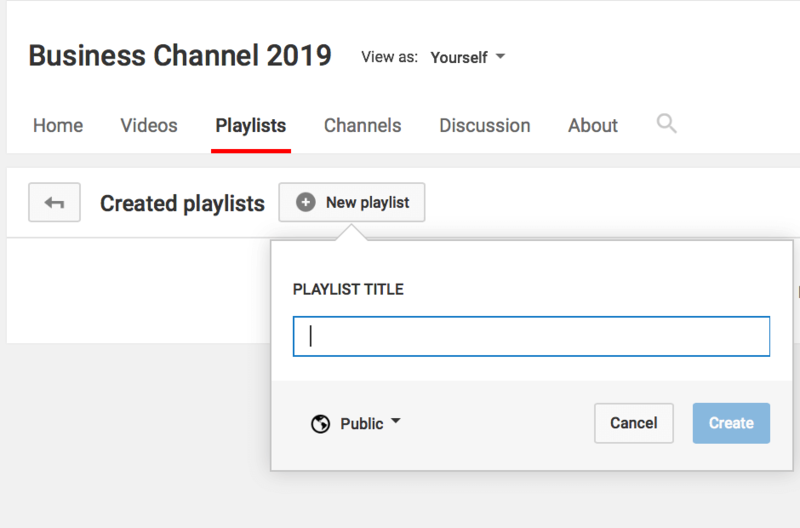 After you’ve got your channel trailer in place, you can further customise your channel by adding playlists. Think of these as the store shelves in your video ‘supermarket’––they don’t just make your channel look more enticing, but also make it easier to help visitors see what video topics you cover and find content they’d be interested in. 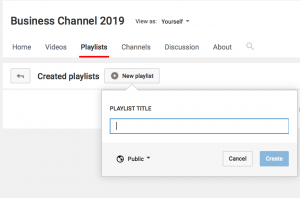 Once you’ve created a playlist, if you want it to appear on your channel homepage, navigate to your channel and choose the Customize channel button. At the bottom of the page, click on the Add a section button and choose Select content. From there, you should be able to see an option to add playlists. Repeat this step to add additional playlists. You can rearrange their positions on your channel page by toggling the up and down arrows in the upper right corner of each column. 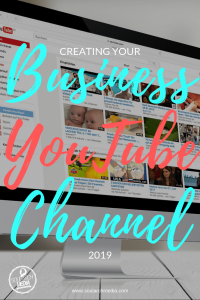 Once you’ve created your channel, it’s important to establish yourself with other users of the platform, particularly those that relate to the market of your business. That is to say, it’s time to start making friends and engaging with others. Subscribe to interesting, topic-relevant channels that aren’t direct competitors. Liking videos, creating playlists, and commenting on posts are other easy ways to begin increasing your brand exposure and place amongst the online community. The more people become familiar with your brand over time, the more likely they are to visit and subscribe to your channel, watch your content, and follow you on websites outside of YouTube. – Keep your replies positive and polite. It goes without saying, but don’t engage in comment wars or write anything that could be construed as rude and mean. Instead, be your own brand ambassador. – Your business account is professional, not personal, so try to keep content ‘on brand.’ This means avoiding putting out content or curating playlists full of random videos (reaction videos, personal vlogs, music clips, movie trailers, etc.) unless they relate back to your bigger brand picture. – Post regularly but not excessively. You don’t want to bombard your channel with poor, quantity-over-quality videos. A consistent flow of good content gives subscribers something to look forward to at a time they can expect. For example, if you post videos every Thursday afternoon, then subscribers will begin to associate that time with you, as they know you’ll be releasing a video they’ll likely enjoy watching. If you can become a part of their weekly schedule and viewing routine, that only increases brand loyalty. 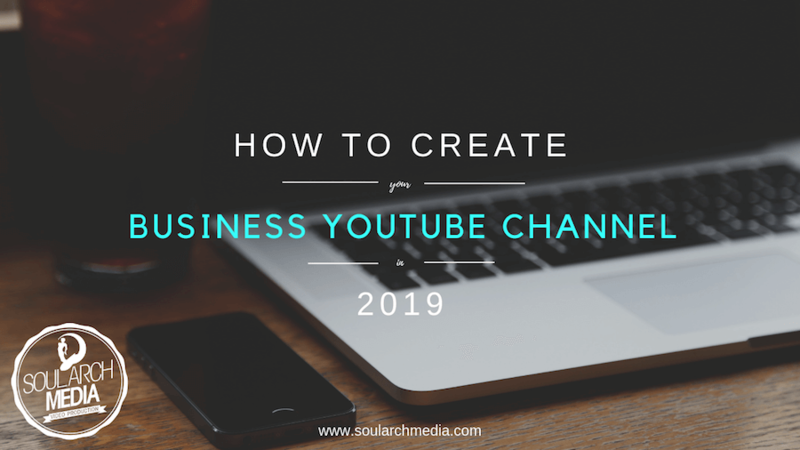 So there you have it – a first-look at how to get started with a business channel on YouTube. We will be looking at the next phase of this journey (adding video tags and descriptions) in future posts, so make sure to check back regularly or subscribe for updates. Enjoy this post? Share it or pin for later! If you have any questions, feel free to drop us a line. All the best with your YouTube business endeavours!